Today I did some experiments with eyepiece projection using my Meade ETX-80 (backpack edition) telescope and my Panasonic DMC-TZ1 camera. It was almost full moon and, thus, the moon was the obvious target. 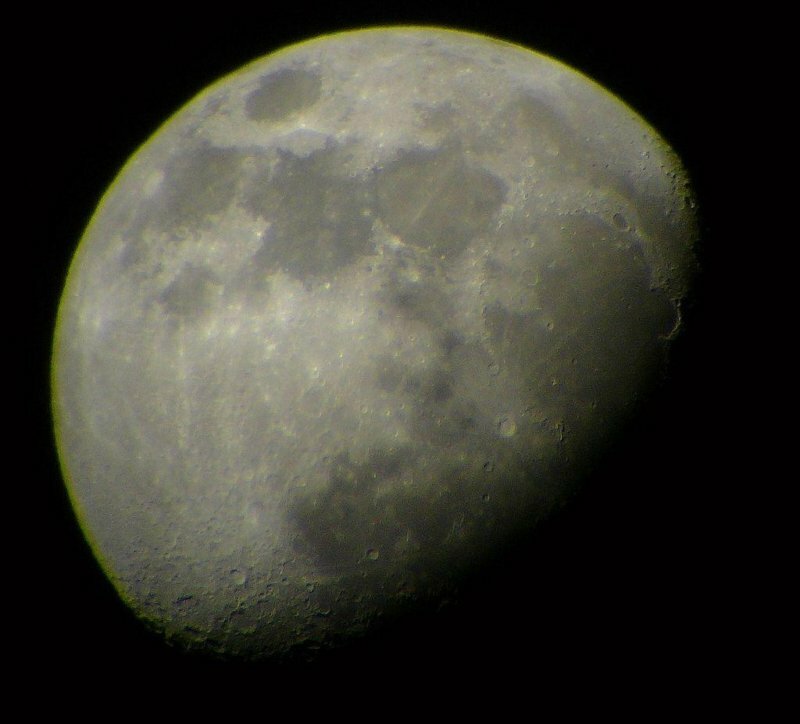 I simply held the Panasonic camera manually over the eyepiece (Meade MA 25mm) and took an image (f/3.9, 1/250s, ISO-80, 19mm = 128mm equivalent on 35mm camera). Taken on 03-25-2010.